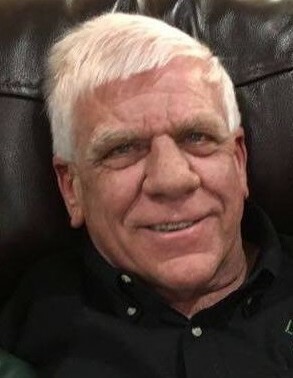 Kurt D. "Pete" Cousins, 64 of DeWitt, Iowa, died early Wednesday morning, January 30, 2019, at University of Iowa Hospitals and Clinics, Iowa City. Kurt Douglas Cousins was born September 14, 1954, in DeWitt to Dean and Donna (Lookhe) Cousins. He was a 1972 graduate of Central Community Schools. As Pete says, he began farming at the age of two. Being a young farmer, he fell out of the hay mound and laid on the ground for two days where he was attended by the piggy's . He drove bus for Central Community Schools and has worked for Liqui-Grow for over 35 years. He enjoyed feeding his cattle, storytelling, golfing, spending time with grandchildren and enjoying his farm work. Another of Pete's favorite stories was how he took the students on the school bus to the A & W Root Beer Stand and all of the trays were hooked on the windows. The students were late getting home and his safety patch for eight years of safe driving was removed. Surviving are children, Kelly Jo (Rick) Eller of Long Grove and Ryan Cousins of Urbandale; grandchildren, Drew, Madalyn and Easton Eller; fiancée, Marcia Fox Finley of DeWitt and her children, Jamey (Hayley) Finley and Hope Finley; a sister, Karen (Loren) Petersen of Elvira; nephews, Brad (Sara) Petersen and their daughter, Molly and Brett Petersen. Preceding Pete in death were his parents and a brother, Kenneth. Family and friends may visit at Schultz Funeral Home, DeWitt from 3:00 until 7:00 p.m. Friday, February 1, 2019. A service will be held at 10:30 a.m. Saturday, February 2, 2019, in the funeral home with Pastor Tom Boomershine officiating. Burial will be at Elmwood Cemetery, DeWitt. A gathering of family and friends will follow at 12 Noon Saturday at Buzzy's in Welton. Pallbearers will be Tommy Barber, Dave Fischer, Jerry Green, Roger Kaufman, Greg "Gus" Anderson and Scott Bickel. Honorary pallbearers will be his grandchildren.